I was recently lucky enough to win the #GollyGosh Wired Jewellery giveaway! I was so surprised to win and very excited to own these pieces from the brilliant Wired Jewellery. 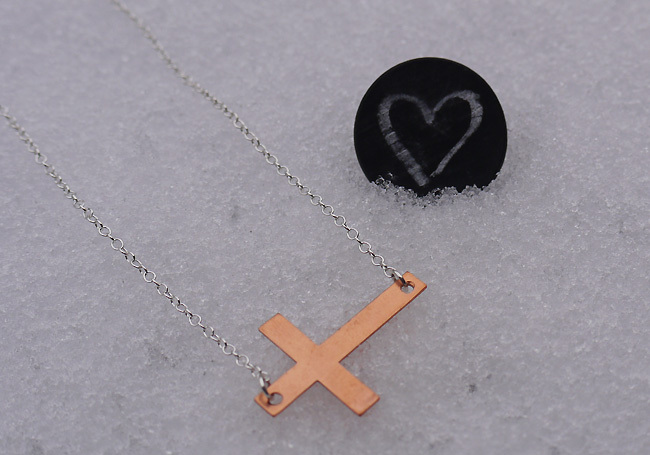 My prize consisted of this adorable Chalkboard Ring and a Copper Sideways Cross Necklace (available in bracelet-form here). I've been enjoying doodling on the chalkboard ring to my heart's content, decorating it with patterns, peace signs and faces! Make sure you check out Vicky's brilliant blog #GollyGosh for regular posts brimming with amazing jewellery - although, a warning, if you're trying to impose a spending ban upon yourself, the finds on this blog will tempt you out of it quicker than you can say "oh well, start on Monday"! Love the necklace! Your nailvarnish is pretty too. 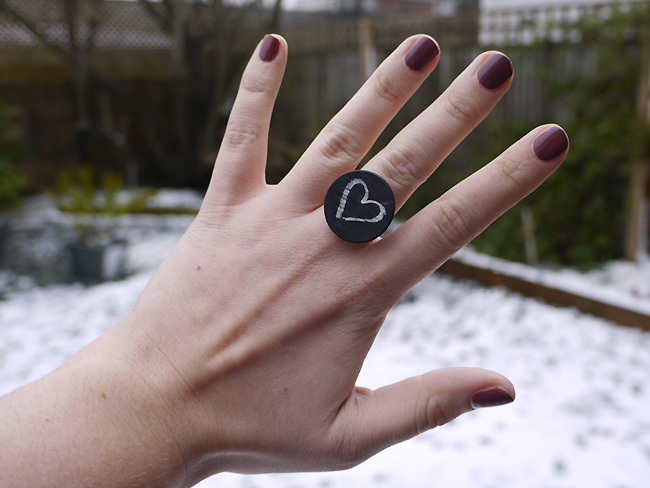 The chalkboard ring is such a simple but great idea! That win was, well, a win. Thanks Kate :) The nail varnish is Sally Hansen 'Plum's the Word' - I just got it!